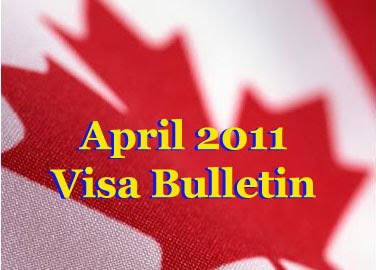 April 2011 Visa Bulletin is now out! - Gateway to Canada | Canada Immigration Consultancy! April 2011 Visa Bulletin is now out! Apology for the delay, April 2011 Visa Bulletin is now out!